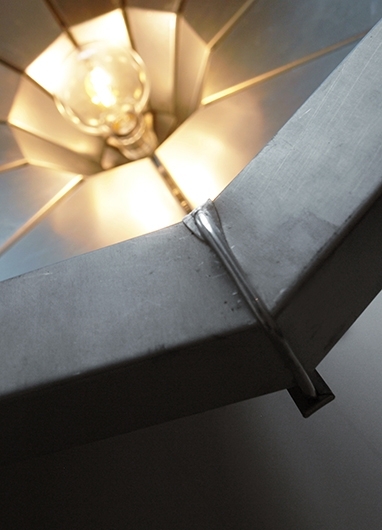 This zinc lampshade is fully handmade using a seaming technique that’s normally used to construct zinc and copper roofs. 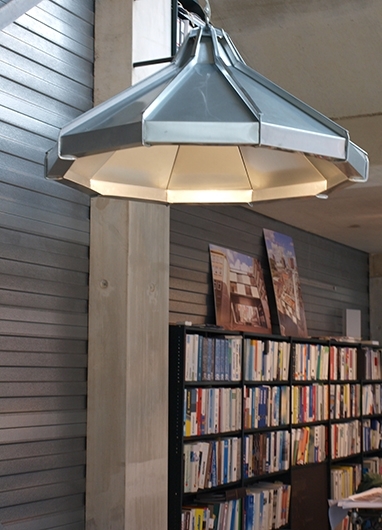 The idea for this Lampshade was born when Romy Kühne was in Paris and oversaw the many old zinc rooftops of the city. And when she got the assignment to design a special, eye-catching lampshade for an Architectural Office in Rotterdam she drew up the design for this Seamed lamp. who offered to teach her the seaming technique. 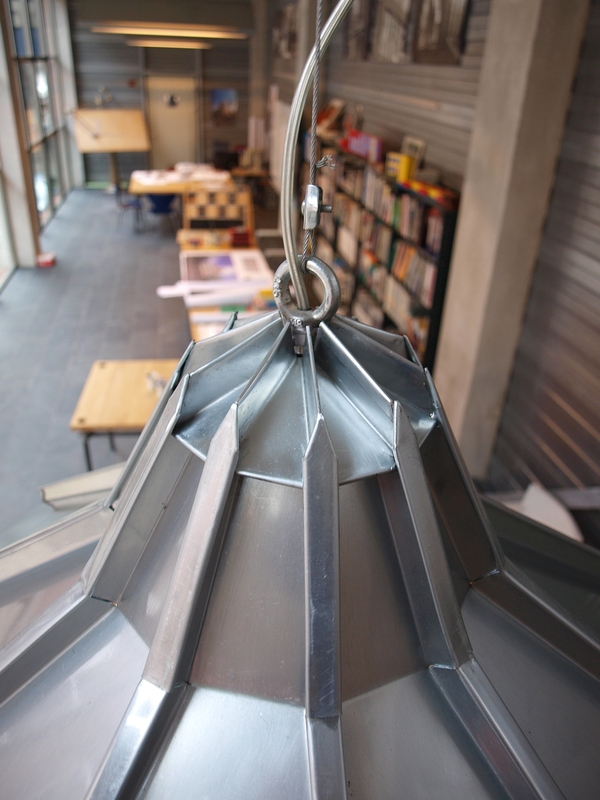 After 1,5 year of weekly practice in the workshop of craftsman Peter Slegers she completed the lamp. The Architect that gave her the assignment decided to wait for it and the “Seamed shade” is now the eye catcher in their office. 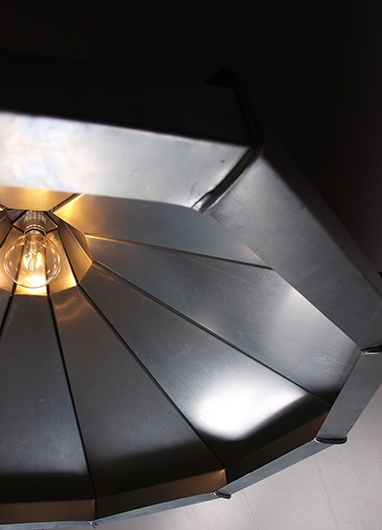 Want to see more of the making process of this special Lampshade, check it out on our website. Interested in a special, custom design for your own home or office? Please feel free to contact us!